We incorporate technology, traditional curriculum, and engaging hands-on lessons in a calm, Christ-centered, small classroom environment with Certified Christian teachers. We help our students lay a foundation for understanding God, Jesus, Bible, church, self, family, others. All lessons, meet or exceed Florida state educational standards. You can be confident that your child is gaining the valuable skills he/she will need in each grade. Champion allows students to deviate from grade level based on mastery of individual subject matter. Flexible course registration makes this possible. Look for a lot of STEM projects, hands-on learning, and use of technology to supplement learning at the student’s level. We offer one day a week enrichment classes for homeschool students, three, four or 5 days a week fully accredited traditional private school program for students with average or above ability, a remedial program for students that struggle to learn and an Independent Learning Center for students that want to go their own pace. We are excited to minister to you and your family here at Champion Preparatory Academy Day School and pray that you will consider enrolling your student with us. Champion Day School is a fully accredited 21st century school incorporating technology, traditional values, and engaging classes with hands-on and traditional learning. 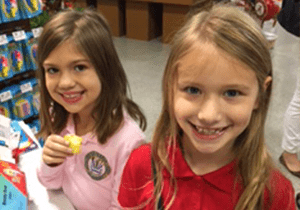 Having served thousands of students since our inception in 1995, we meet and exceed Florida educational standards in a calm, Christ-centered, personalized environment. With the Lord as our guide, we are committed to equipping our students and families to be confident in what they believe and able to defend their faith in love, boldly and unashamedly. The CPA team are deeply committed to providing a challenging but warm Christ-centered campus atmosphere. As soon as you step your foot on our premises, you will feel our vision of excellence and our mission to provide a more personalized approach in all that we do, from your initial contact with our admissions staff to becoming a valued family member here at Champion. • Enrollment begins in March. • Priority is given to students on the waiting list. • Once accepted, our enrollment specialist will help you finalize your school enrollment and financial details. • Parents need to submit the Form 603 Transfer of Records to their previous school in order to transfer records to us. • VPK students also need to register with the Orange County Early Learning Coalition to obtain their certificate of Eligibility. Champion offers a faith-based education, focused on traditional values, where students grow academically and spiritually. Students are treated with love, respect and kindness, and relationships thrive in the school community. All Champion teachers are Christian and committed leaders in faith. The Day School offers many enrollment options for students in preschool through grade 12. Families can tailor a school environment that fits the needs of their child. Parents may combine Day School options with Champion Online Academy and/or Champion Homeschool Academy for an individualized program. Champion offers a VPK program, funded through the State, which prepares children for kindergarten. Four-year-olds attend three days a week, focusing on pre-reading and math skills, and thematic units, in a nurturing social environment. Parents may add a fourth day, “Mom’s Day Out”, for a fee. For students in kindergarten through grade 12, families may design a program to suit their needs. Students can attend Day School one, three, four, or five days week. The Monday program focuses on choice electives and enrichment activities. Tuesday through Thursday attendees address a bulk of the core academic content with their teachers. Fridays are shorter days that offer teacher supervision of assigned independent work. Champion offers an array of electives and activities for students to get involved and express themselves. Students involved in Champion Preparatory Academy are eligible to participate in field trips, academic fairs, and other special activities. Monday enrichment classes offer great opportunities for learning and growth for students of all ages. Some favorites classes include Guitar, Culinary Arts, A Day on Broadway, and Competitive Robotics. Students may get involved in other school activities as well, including the Safety Patrol, Beta Club, or athletics in our regulation size gymnasium. Champion encourages students to engage in sports like flag football, soccer, softball, and basketball through ACYS, a sports league based on biblical principles. Our Project Based Learning Center is for students grades 4-7 who prefer hands-on project-based learning. Projects will be teacher directed and will incorporate student interests, and students best learning modalities. Students must be motivated to learn and have attention controls that will allow them to complete work in a group setting. This program is best suited for students who desire hands-on project-based learning. 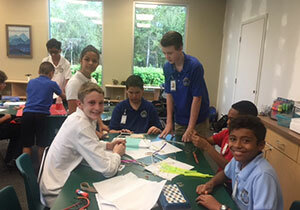 The Champion Independent Learning Center, for grades 6 through 12, follows the same schedule as the Day School, but the students take the lead in their education, with teacher supervision, rather than direct instruction. This is a great option for homeschooling families who are unable to supervise their children during the day or motivated students who need to work at their own pace. 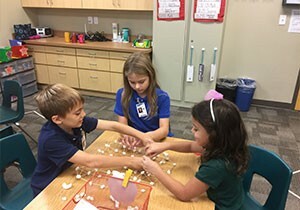 Independent Learning Center Students have the opportunity to socialize with Day School students during PE, Chapel, and lunch, and they may participate in enrichment activities on Mondays. Champion also offers the S.T.A.R. (Students and Teachers Achieving Results) Program, for grades 5 through 12. This remedial program offers direct, individualized instruction, and a one-to-eight teacher-student ratio. The S.T.A.R. program can accommodate students with mild to moderate learning disabilities but not those with behavior problems. For high school students in good academic standing, Champion recommends dual-enrollment with local colleges. 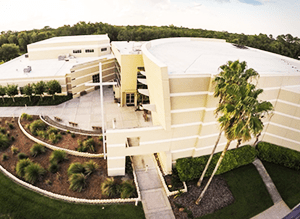 Students can receive credit for high school courses while taking classes at Seminole State or Valencia College, either on-campus or online.